In fact, I am not dissatisfied by the way that Plath ended the novel. I am completely satisfied, yet there’s certainly a large part of my mind that has been shaken. The part of me that recognises that this is the most ‘real’ and tangible closure I could get from an autobiographical novel. The book depicts Plath’s protagonist, Esther Greenwood as a successful student and writer. The author portrays Esther’s mind as almost transparent; the description used to display the characters thoughts of people and places are the most enjoyable yet heart-wrenching element of the novel, for me. I have never been so torn between the feeling of dropping the book and leaving it unfinished and reading on to know how it ends ever before. Knowing that this was a reflection of her life and that the author took her own life (eventually) compelled me to read on, it would be disrespectful of me to stop before the end. Midway through the novel, the author does foreshadow the end as the novel follows an almost pessimistic tone from a certain point, which is cut ever so slightly by moments of optimism, but never really dies down. ‘At first I wondered why the room felt so safe. Then I realised it was because there were no windows’. I guess this is more of me venting my feelings about the story than an actual review, bear with me. The thing is, I know that whether I read this ten years earlier or ten years on down the lie, I would pretty much feel just as I do today. But for me to read it just after I turned twenty, and following the neurosis of Esther, who is a similar age to mine and also turns twenty in some dark page, whose number I do not know – just makes the reading experience a little more truer to reality. Part of the way through the novel, I thought I would like to read some of Plath’s poems as soon as I’d finished reading the book. Now, I’m not quite sure I could handle reading anymore of her work so soon after The Bell Jar. As for the title, I have never a felt a more befitting one for a novel before. At this point, all I can say is – read it. On a brighter note, I hope you enjoy my first successfully transported but poorly made gif. I don’t think there’s such a thing as light-hearted reading anymore, if you know of any – do suggest some in the comments. Thank you guys. My ideas are usually random and are the product of daydreaming over a cup of tea, however this idea has been brewing in my mind for quite a while now, and that is; Guest Blogging. It’s been a year since I created this blog and the idea of guest blogging has always attracted me. Before I begin, I would prefer if the posts were more like ‘swaps’, as me and my posts would need somewhere to go for the time being too. I understand that the themes and issues on my blog tend to vary between poetry/prose, lifestyle and societal issues (and whatever else I’m feeling on the day) so guest posting is open to any topic & anyone who is interested, however all I ask is that the content of the post is of high quality and that you dedicate sufficient attention to your writing – as I do. 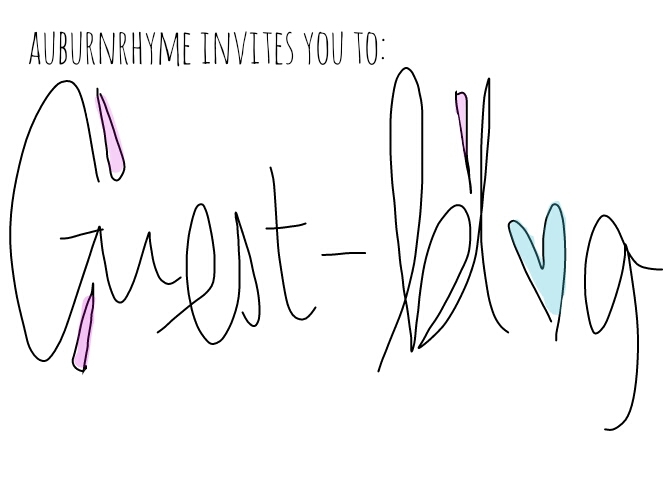 I hope you’re having a wonderful day and that this rather vague invitation is of some interest to you. Don’t hesitate in emailing me to simply exchange ideas.